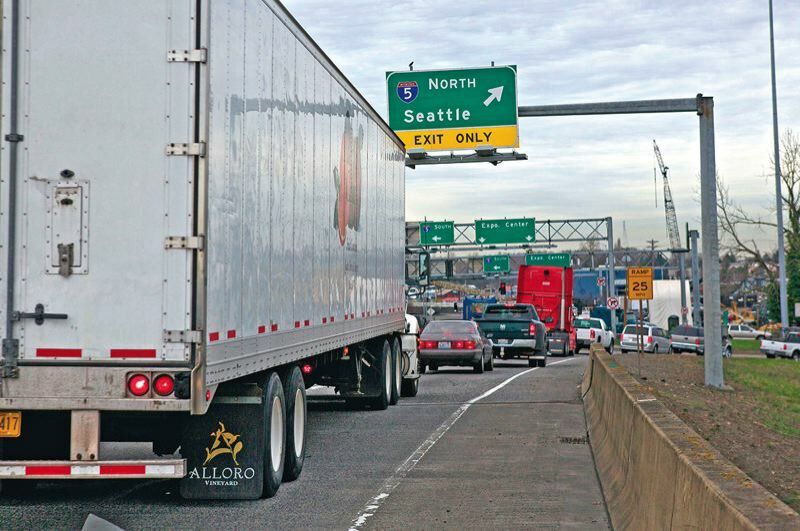 The elected regional government has a released a new poll it commissioned to help craft a transportation finding measure for the November 2020 ballot. A new poll released by Metro shows that a majority of voters in the region believe traffic congestion is a serious problem and are willing to pay up to $300 a year to reduce it. The FM3 Research poll was commissioned by the elected regional government in early January. It is intended to inform a promised November 2020 ballot measure to help fund TriMet's proposed Southwest Corridor MAX line linking Portland to Bridgeport Village through Tigard. Metro President Lynn Peterson will soon appoint a task force to help the Metro Council craft the measure. Although no estimate has yet been released, Peterson has talked about the need to make it very large, perhaps several billion dollars for projects spread over many years throughout the region. ""Our economic success has led to a lot of growth, and we're all feeling the effects of that. We need to make sure we're keeping up as our region continues to grow," says Peterson. "We need to address these challenges in a way that helps all the people of our region, particularly the communities of color that have been hurt so much by past decisions about transportation infrastructure." But the poll also shows that providing more transit service is a relatively low priority among voters. Many more support expanding roads and freeways like I-5 and Highway 217. Asked to pick their top priority, 31 percent chose "Widening roads and highways to address bottlenecks." Only 13 percent chose "Serving the growing population by providing more frequent and faster bus and MAX service." Even upgrading bridges and other infrastructure to survive earthquakes scored higher than expanding transit service, at 26 percent. So did improving the overall safety on streets with a history of crashes, at 19 percent. "On its own, improving public transit is a lower priority than making road improvements and the more overarching goal of easing traffic — voters still overwhelmingly rely on driving alone to get around," reads the poll's conclusions. Those findings are consistent with other polls on transportation issues that have been conducted in the region over the years. The new poll, which was released by Metro on Friday, reinforces the need for the measure to help fund a mix freeway, road and transit projects throughout the region for it to have any chance of passing. "People are hungry for investments that make the transportation system work better for everyone," said Andy Shaw, Metro's government affairs director, when the poll was released Friday. Shaw also said Metro would need to partner with the Oregon Department of Transportation to improve the major transportation corridors in the region the state owns, including the area's freeways and such heavily-traveled roads as Macadam Avenue, McLaughlin Boulevard, and the Tualatin Valley Highway, all of which were mentioned in the poll. The new poll also shows that voters relate congestion with population growth in the region — which they believe is happening too fast and having mostly negative effects. The lack of affordable housing is the other top concern in the poll. "Voters' perceptions of the region's overall direction are declining, with housing costs and traffic standing out as broad and rising areas of concern," reads the conclusions. "A majority says growth is moving too fast, and voters expect that growth to continue. For the first time, a plurality says the impact of growth is more negative than positive." According to the poll voters who believe the region is moving in the "right direction" have dropped 10 points since 2016, falling 46 to 36 percent. Those who believe the region is on the "wrong track" has increased five points, rising from 43 to 48 percent. That shift corresponds to dramatic increasing in the percent of voters who believe congestion and housing costs are extremely or very serious problems. Since 2015, such concerns about congestion have jumped from 48 to 73 percent. Similar concerns about housing costs have increased from 56 to 75 percent. Concerns about growth have also shifted over the past four years. Since 2015, voters who believe the region is growing "too fast" have increased from 30 to 52 percent. Those how believe it is growing "about right" has droped from 60 to 38 percent. According to the poll, majorities of voters in both Multnomah and Washington counties believe the region is growing too fast, 52 and 55 percent respectively. Clackamas is the county where a bare majority of voters — 51 percent — believe the region is growing about right. And, the poll found, most voters, about 59 percent, do not believe the current rate of growth will slow down — increasing pressure on Metro to help find reduce congestion and housing cost increases. Metro already convinced its votes to approve a $653 million affordable housing bond at the November 2018 general election. The council is also discussing asking voters to renewal its existing regional parks levy at the November 2019 election. You can read the Metro poll at here.